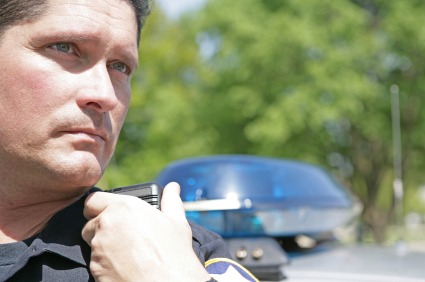 The National Police Selection Test has become the go-to exam for many police departments nationwide. Meaning if you want to become a police officer, you must pass the N.P.O.S.T entry test. In fact, several states especially Iowa, Utah, and Wyoming have mandated the NPOST as their statewide entry-level test. Per Stanard & Associates, the folks who created the NPOST, the National Police Officer Selection Test (POST) is an entry-level basic skills test that helps law enforcement agencies select the most qualified applicants by ensuring that candidates possess the basic cognitive skills necessary to successfully perform the job. The POST is a valid, job-related test designed specifically for law enforcement use, which measures these basic skills: Arithmetic, Reading Comprehension, Grammar and Incident Report Writing. First and foremost, you must understand the test is multiple choice with eight major sections. Here’s three below…. 1. Reading Comprehension Section – You will have to demonstrate that you are able to read, and retain information from varies sources like a witness statements, court paperwork, and/or police reports. This section shouldn’t be particular hard to those that are good readers. 2. 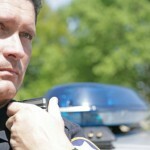 Vocabulary Section – When you become a police officer you will realize the range of your vocabulary is very important. You’ll encounter many different people while on patrol from the occasional high school dropout to the doctored degree professor. There’s between 500-1000 common words in police work that you should know the meaning too, and be able to use efficiently in a sentence. 3. Memory Recall Section– This section has to do with your ability to see an object, person, place, or thing and be able to effectively recall those things. For instance, you’ll be given a sketch or a photo of a crime in progress and after a couple minutes you’ll be asked to correctly answer some basic questions about the sketch or photo. In conclusion, the National Police Officer Selection Test (POST) can be tough if you aren’t prepared for it. However, there have been recruits who have posted very high scores on the examination using varies police exam study guides available to first time test takers. In my experience the more you study and prepare for the test, the better you will do.